Windows Phone 8’s growth has been slow but steady in the months since its release, an increase that can in part be contributed to Nokia’s excellent series of smartphones and camera hardware. Complementing this is a series of Windows Phone apps intended for Nokia phones that integrated with the camera to produce enhanced photo tools, augmented reality and other excellent utilities. Trying to find your way around the city? There is a lens app you can install. Slightly more trivial but nevertheless entertaining are tools to combine photos with popular Internet memes and to give you a makeover, as well as to lobby Instagram to develop a Windows Phone app. A good selection of camera apps are available for Windows Phones, the best of which we’ve recently featured Five Amazing Nokia Camera and Image Apps for Lumia Windows Phones Five Amazing Nokia Camera and Image Apps for Lumia Windows Phones Since Microsoft and Nokia announced their joint venture back in 2011, there has been a general shift towards the Finnish company in the Windows Phone manufacturers’ market share. Nokia has been innovating and producing a... Read More , but you should never go without a good panorama-snapping app, especially when you’re on holiday or want to photograph an awe-inspiring vista. There are four amazing lens apps for Nokia Windows Phones below (shown here on the Nokia Lumia 920 Nokia Lumia 920 Review & Giveaway Nokia Lumia 920 Review & Giveaway A couple of weeks ago, Nokia introduced two new devices to the world: the Nokia Lumia 925 and the Nokia Lumia 928. The top notch of Windows Phone 8 devices, these two smartphones will only... Read More ), each of which is available free from the Windows Phone Store. As lens apps go, the one you really need to try first is HERE City Lens, an augmented reality app that shows you all the best shops, eateries and points of interest through your camera viewfinder. The app is split into different view options – you might want to look at restaurants, so in this case you would select eat & drink. Alternatively, if you’re looking for a place to stay, accommodation would be your chosen option. Shopping, going out, transport and sights & museum are also options, as well as favourites and a general all view, which combines all of the above. As you tilt your phone camera right, left, up and down, HERE City Lens will display annotations detailing everything within walking distance, and by tapping any of these further information will be displayed. Thanks to a menu across the top of the screen you will be able to add a business or location as a favourite, tap direction to find your way to it, share by email and messaging and find detailed information such as phone number, website and any reviews and photos using the more button. Meanwhile placing your phone face down will help you get a better look at the businesses and points of interest in a zoomable map mode, ideal for finding your way. HERE City Lens is powered by Microsoft Bing Maps and Nokia Prime Place (for the listings) and is simply one of THE apps for Nokia Windows Phone 8 devices. One of the glaring omissions in the Windows Phone Store is the lack of an Instagram app, something that prevents Nokia Lumia owners from sharing the superb photos that can be achieved with their superior camera hardware. To combat this and persuade the Instagram developers that a Windows Phone app would be a good idea, Nokia launched #2InstaWithLove, a camera app with a narrow selection of filters. Each time an image is shared, it is accompanied with the #2InstaWithLove hashtag, the aim being to persuade developers to release a Windows Phone version of the popular app. As long as the need is there for an Instagram app, #2InstaWithLove will be available from Nokia, and can be found on a Nokia Lumia in the lenses menu in the camera (see below). In the meantime, Itsdagram is a suitable replacement, and although #2InstaWithLove remains available, there is also the #2InstaWithMassiveLove alternative from the same team, although this is less stable despite offering more Instagram options. 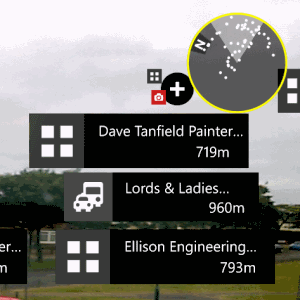 If you’re as plain as I am, the Nokia Glam Me app might be exactly what you’re looking for. While it was naturally an immense stretch to push the app into making me look even halfway presentable with a series of enhancements that washed out the lines, increased the size of my eyes and altered my skin tone, this lens app is an impressive tool that also features a comparison feature just to remind you how bad you really look. In addition, Nokia Glam Me with a selection of filters such as a magazine cover and naturally you can share your finished digital makeover. Don’t worry about the original snaps, as these will be retained, and as with all lens apps you can share your final image via email, social networks, Bluetooth and MMS using the share option in the camera gallery menu. I can’t remember the last time I went on holiday and didn’t use a panorama photo app. Indeed, I’ve been obsessed with capturing sweeping vistas of foreign parts for years, and long before the development of smartphones (remember when?) I would spend ages lining up shots, making slight adjustments to my position to acquire the best panoramic views possible. It’s safe to say I’ve tried out a good few panorama apps over the years, and Nokia Panorama is among the best. It keeps things nice and simple, providing you with a “capture the target” system to match up the various snaps in the image. Quick and simple, Nokia Panorama can be launched as a lens or individually. 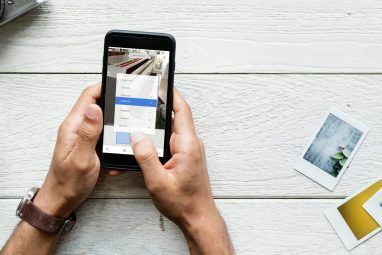 Completed panoramas are saved to your phone’s gallery (accessed in the Photos hub) and can be shared in the usual email/messaging/social/Bluetooth way. Already available is Nokia’s free Smart Shoot app but this is set to be superseded in the near future by Smart Cam, a new app already available for the new Nokia Lumia 1020 which will soon be compatible with the 920. Smart Shoot enables you to capture the best shot in a quick blast of camera snaps, and should certainly be among the lens apps on your Nokia Lumia phone until Smart Camera comes along. Smart Cam, meanwhile, comes with five main features, Best Shot, Action Shot, Motion Focus, Change Faces and Remove Object. By snapping several photos in quick succession, the app can help you to get the best results by selecting the best shot and by swapping faces between several images to create a perfect composite. Objects can also be removed (useful if something comes into shot unexpectedly) while action shot gives the impression of action and motion focus behaves in a similar manner to give an illusion of motion. 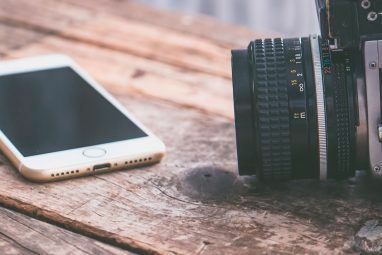 If you are using apps that make use of the Lens integration with the phone’s camera, you will find that these can either be launched individually (from the apps list or perhaps a Start screen shortcut) or from the Lens view in the camera screen. You can open this by launching the camera, and then tapping the double-arrow button in the lower-right corner. This will display all available apps that use the camera lens. Meanwhile, the Find more lenses option will open a list of all available camera lens apps, which can then be installed and used. The beauty of lenses is that you’re able to quickly select the type of app that you wish to use from within the camera app. For instance, while it is possible to share a photo to Twitter, it is quicker to use the Twitter app Get Tweeting On Windows Phone With Multiple Account Support! Get Tweeting On Windows Phone With Multiple Account Support! A quick look at the Windows Phone apps + games service will reveal an endless list of Twitter related apps for the device – which is strange as Twitter functions (such as Tweeting and retweeting)... Read More as a lens, take your photo, and apply the Twitter filters and share. In a perfect world, perhaps all of the Lens functions would be available in one camera-centric smartphone without the need to download and install them – but that would potentially be pretty messy. 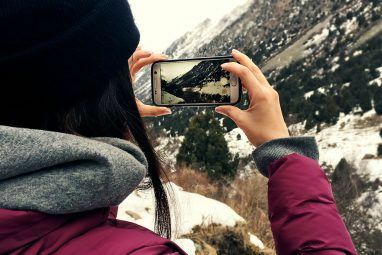 Windows Phone’s approach is perhaps the nearest we’ll get to perfection – apps that can be integrated into the camera software. On a Nokia phone, with the high quality camera hardware, this means that you may well have the best smartphone camera and software available. Explore more about: Smartphone Photography, Windows 8, Windows Phone, Windows Phone 8.